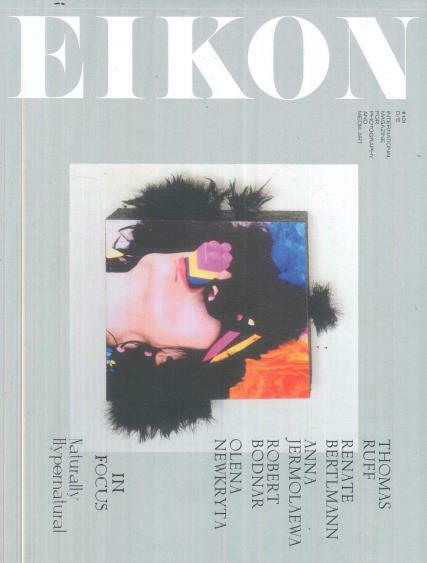 Eikon is a quarterly magazine for photography and media art, it showcases collections, galleries to visit, portfolios and events. The magazine is divided into German and English. Buy a single copy or subscription to Eikon magazine. Eikon is split into two main parts, ‘Portfolio’ and ‘In Focus’. The Portfolio section focuses on presenting and promoting young artists from all different fields of the industry including: media art, photography, and other arts. This section also introduces emerging artists and the different styles of established artists; the aim is to give artists the opportunity to widen their international presence. ‘In Focus’ is a monochrome section of the magazine it was first introduced in 2014; this section of the magazine delivers a platform for current topics in the arts culture, the history of art and more.